• The Dup15q Alliance maintains a comprehensive database of all member families and the goal to maintain the most up-to-date contact information for our families enabling the Alliance to connect newly diagnosed families with others to share support. • Help to organize an annual regional gathering for each of our regions. 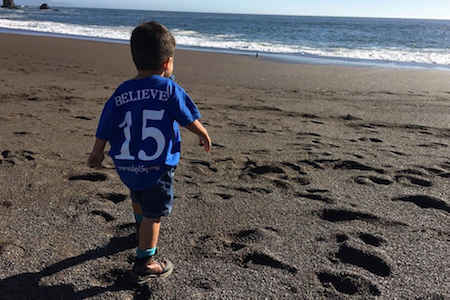 • Keep Dup15q Alliance families, friends and supporters up-to-date on the latest information regarding chromosome 15q duplications, medical care recommendations and opportunities for research. • Support at least 10 new Chromosome Q-usaders to raise awareness for dup15q syndrome in their communities. • Develop a peer education program for use in communities and schools to increase support and education around dup15q syndrome to improve the everyday lives of dupers. • Collect information from our families about dup15q syndrome, treatments, outcomes and questions to enable families, researchers and physicians to better understand the characteristics of the syndrome help determine areas that need further research and develop targeted treatments to improve the lives of those affected by Dup15q Syndrome. • Compile the needed data and analysis for research grants and partnerships with industry to develop new treatments. •Update medical care guidelines that take into account current experiences and needs of those affected by dup15q syndrome. •Substantially increase Tyler's Travel and Clinic Support Fund to enable as many affected by dup15q syndrome to be cared for by one of the Dup15q Alliance Multidisciplinary Clinics. •Add up to 5 new Dup15q Alliance Clinic locations. •Support of dupers and families that are transitioning to different care needs as they grow older and looking into the future.